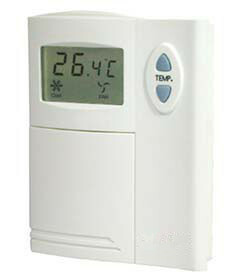 Stand Alone Thermostats Archives - Temco Controls Ltd.
Tstat4 Series are manufactured perfectly. They are widely used in commercial, industrial and residential buildings, and suitable for room temperature control of heating, cooling or year-round air-conditioning system, especially for fan coil, electrical heater, etc. 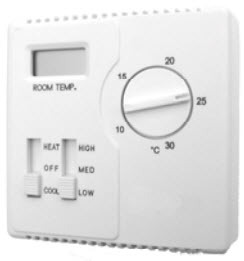 The thermostat is highly sensitive, easy-installation and reliable. They also have digital liquid crystal display (LCD) thermometer, which can measure the ambient temperature accurately, and use more conveniently. 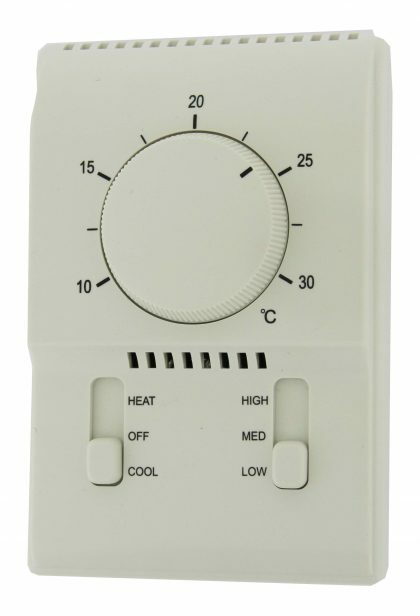 TSTAT 2 series on/off thermostat is mainly used in central air-conditioning heating and cooling system. It works with TSC series temperature sensor. It provides temperature control for central air-conditioning fan coil cooling / heating motorized valve or other electric actuator by the control signal which produced by comparison of actual tested ambient temperature and setting temperature. Tstat3 series electronic thermostats are manufactured perfectly. They are widely used in commercial, industrial and residential buildings. They are suitable for room temperature control of heating, cooling or year-round air-conditioning system, especially for fan coil, electrical heater, etc.